As a SteadyFare Driver, you can utilize your own car to make money and help people get around. You can work when and however much you want: Full-time, part-time or No-time! Use your own smartphone and our free to download app. 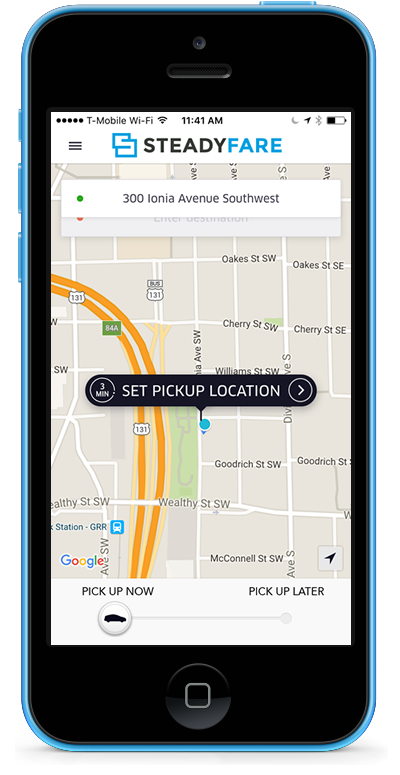 Just turn on the SteadyFare Driver App whenever you want to go “On Duty,” and the built-in GPS will do all the navigation for you. Your fares will be deposited directly into you bank account every week. Signup at steadyfare.com to start your application to drive. Upload your vehicles documents then download the SteadyFare Driver App onto your smartphone. Once you’re registered and approved, you can start driving and earning money whenever you want. The SteadyFare Driver App typically uses 2 GB of data per month, so charges to your phone plan may apply. Continued use of GPS running in the background can dramatically decrease battery life.